New Thought: My kids are so excited and happy to see our elf again. While it's some extra work, it makes their mornings joyful and captures their imaginations. It's making this holiday season memorable. They won't always be 8 years old and 5 years old and soon enough they won't believe in/care about an elf on the shelf. This is special time to make memories. Situation: I need to lose weight. Old Thought: I feel so deprived. Why does everyone else get to eat what they like and stay thin? It's so much work to lose weight and then it all comes back. I'll always be overweight, it's just who I am. New Thought: I feel so much better having lost some weight already. While I have more to lose, I know I will accomplish my goals. It feels good to eat healthy and nutritious foods that are good for me. With a little thought and planning, it isn't hard to stay on track. Situation: The alarm goes off- time to workout. Old Thought: It's so cold and dark and I'm so tired. My days are full and working out earlier will make me tired later. I don't really need to workout- I'm eating healthy and that's what counts. New Thought: I am lucky to be able to move freely and be healthy enough to exercise. Adding exercise into my routine might be the push I need to get better results towards my ultimate weight loss goals. It feels good to move and it will give me more energy for my day. Situation: It's Tuesday morning and I don't have a Slice of Life ready. Old Thought: I am so freaking busy as a classroom teacher and mom- I have no time to write. I barely have time to do all the work in my bag. Actually, I don't have time to do all the work in my bag. I cannot take time to blog. New Thought: It might not be the best post ever, but show up and say something. 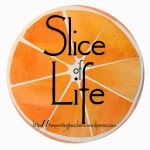 Writing is an important habit to keep and being part of the Slice of Life Community adds joy to your life. Make time for it. What are some of your old thoughts and new thoughts? How do your thoughts shape your day? I so needed to read this today, as I try to get back into healthy routines after a week off of overindulging and feeling ill. Thank you for the healthy mindset and motivation to get going this morning! Amen to each and every REAL situation and the power of your shift! The structure of this slice is one I might use someday when I am caught with no time or no idea! So, thank you, for making time to write! Just think, because you brought that Elf out for one more year, you can laugh alongside and with every other parent caught in the Elf madness - it's a community in itself! Thanks for sharing, Kathleen and yeah for you on healthy living and working out!! I love hearing your two voices. We all have both of them in our heads. I am so happy that I don't have kids of elf on the shelf age because I think I would fail at the task, but today my third grader told me all about hers. She suggested we get one for the classroom. My fifth grader (I teach gifted, multiple grades) said, "We have Jack!" Jack is a stuffed lemur. When I left the room for a minute, they positioned him sneakily and didn't tell me about it. I noticed he was not where I'd left him. They giggled and pointed to the chair that they had attached him to, upside down. After school, I placed Jack in a new place. This may be fun after all. I was just talking to my students today about the importance of noticing negative self-talk and replacing it with more positive thoughts, as this has been a big shift in my own life over the past few years, and I know what a difference it makes! This is a fantastic example of that important inner work! Perspective and attitude can change the color of the situation considerably. I liked the examples you shared. Kudos to you for sticking with healthy eating and morning workouts!